It was New Year’s Day, 1970, but it was supposed to be a routine morning shift at Cowichan District Hospital. Nurse Doreen Kendall had started her shift at midnight and was due to get off work at 8 a.m. Not much of a way to greet the New Year, but it was her job. Doreen, a practical nurse, worked on the second floor of the hospital at Duncan, on Vancouver Island, British Columbia, Canada. Doreen lived in Nanaimo and commuted the twenty-six miles to Duncan. At 5 a.m. Doreen and nurse Frieda Wilson began their usual morning rounds in a four-bed ward. While Frieda attended to the patient nearest the door, Doreen checked on the patient in the next bed, nearest the window. As she did every morning, she went to open the drapes in order to let in a little of the early morning sunshine. When she opened the drapes, she was amazed to see something totally unexpected. Outside, about sixty feet away, a flying object was hovering at a height of about sixty feet, even with the third floor of the hospital. The object was saucer-shaped, with a transparent bubble-like dome in the center, and was tilted slightly towards her. Because the object was tilted toward her, Doreen could see inside the transparent dome, where she saw two humanoid figures standing in front of a chrome, dial-covered instrument panel. She estimated the figures to be about six feet tall, wearing dark clothing, and some sort of headgear. There were seats in front of the instrument panel, but the figures were standing rather than seated. Doreen was stunned. The Cowichan area had a reputation as a UFO “hotspot,” but she had never expected to see one herself. As she watched, one of the men noticed her and touched the other, apparently to alert him of the fact that they were being watched. The other man looked up, and then manipulated a control, causing the object to begin to move. At this point Doreen called to Frieda Wilson, who came to the window in time to see the object outside. The two then ran to the nurses station and told three other nurses, who reached the window in time to see the object, although it was some distance away by then. 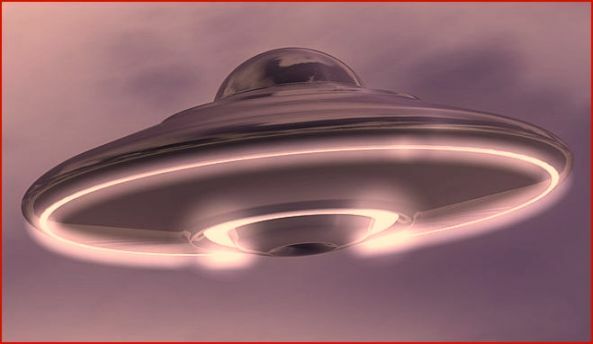 The object circled several times and then vanished to the northeast at high speed. The sighting was never explained. NOTE: The above image is a rendering. Pretty part of content. I simply stumbled upon your website and in accession capital to assert that I get actually enjoyed account your blog posts. Anyway I’ll be subscribing in your augment and even I success you access consistently quickly. My family and I certainly adore your site and find many of the articles to be what precisely I am trying to find. Do you offer guest writers to write content for you? I wouldn’t mind writing an article on wifi router details or on a number of the subjects you’re posting about on this page. Again, awesome information site! Thank you very much for sharing this, I bookmarked this page. I’m also attempting to find tips on mobile location tracker, do you know where I might discover something like that? I’ll be back very soon! Woah this weblog is wonderful i like reading your articles. Keep up the great paintings! You know, many persons are searching around for this info, you can aid them greatly. My brother recommended I would possibly like this web site. He was once totally right. This put up truly made my day. You cann’t believe just how much time I had spent for this information! Thanks! I simply want to say I’m beginner to blogs and actually savored your web site. Most likely I’m likely to bookmark your blog . You certainly have remarkable well written articles. Appreciate it for sharing with us your website page. Hey very nice web site!! Man .. Excellent .. Wonderful .. I will bookmark your site and take the feeds additionally?I’m satisfied to seek out a lot of helpful info right here within the publish, we need develop extra techniques in this regard, thanks for sharing. . . . . . Excellent submit, very informative. I’m wondering why the opposite experts of this sector don’t realize this. You should proceed your writing. I’m confident, you have a great readers’ base already!|What’s Going down i’m new to this, I stumbled upon this I have discovered It positively useful and it has helped me out loads. I hope to contribute & help other users like its helped me. Good job. It’s really a cool and helpful piece of info. I’m glad that you just shared this helpful info with us. Please keep us informed like this. Thank you for sharing. Awesome remarkable things here. I am extremely glad to peer your site. Thank you so much and i am looking forward to make contact with you. Will you please drop me an e-mail?